A masterpiece by Renaissance artist Pieter Bruegel the Elder depicting a medieval festival celebrating the clash of seasons has become the latest painting to spark an ownership tussle, after allegations that the work was looted by the Nazis from Poland during the second world war. Seventy-year-old documents unearthed in the archives of Krakow’s National Museum allege that The Fight Between Carnival and Lent, painted in 1559 and thought to be worth tens of millions of pounds, was taken by the wife of the city’s Nazi governor in 1939 during the occupation of Poland. The work, which today hangs in the Kunsthistorisches Museum in Vienna, is expected to become the subject of an administrative battle between officials in the two cities in an attempt to prove its provenance. The tussle comes amid a wider push by Polish authorities to track down artworks and valuables looted during the occupation. Art experts estimate that the painting could be valued at well in excess of £50m, with only one of the Dutch artist’s works in private hands. The Kunsthistorisches Museum insists that the painting has been owned by the gallery since the 17th century. It believes the work that was taken from Krakow by Charlotte von Wächter, wife of Otto von Wächter, governor-general of Krakow from 1939 to 1942, is not the same painting. Poland will ask Austrian authorities for a full investigation into the painting to determine whether or not it once hung in Krakow’s museum, the country’s deputy minister of culture told Rzeczpospolita, the Polish newspaper which first reported the existence of the archive documents. According to a research paper by Diana Blonska, director of the Krakow museum, documents in its archive state that Wächter’s wife visited the museum in 1939 and took the painting together with others, many of which “ended up in the antique markets of Vienna”. In a second letter cited by Ms Blonska, Mr Kopera reports the thefts to the government department in postwar Poland responsible for drawing up lists of war criminals. Ms Blonska could not be reached for comment. Philippe Sands, a law professor at University College London, whose articles in the Financial Times exploring the Wächter family and his film My Nazi Legacy inspired Polish journalists to investigate the painting, said the evidence suggested an investigation was needed. 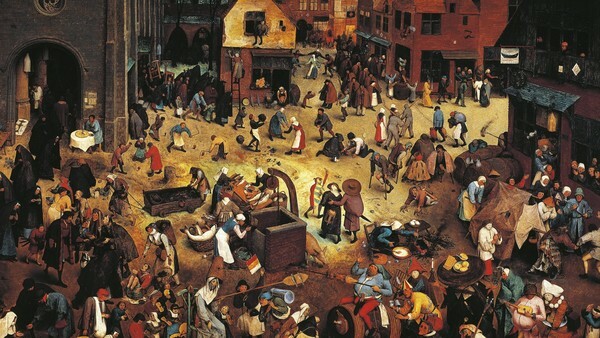 “There is evidence to suggest wrongdoing on a serious scale, and a pressing need to fully investigate the provenance of the Bruegel painting . . . including whether it was taken from the National Museum in Krakow,” he said. Hundreds of thousands of pieces of art were either stolen or acquired through forced sales by the Nazis during the second world war, typically by organisations set up solely to select and then plunder valuable works. Poland estimates that more than €20bn of art and other treasures were taken from its galleries and private collections during the war.